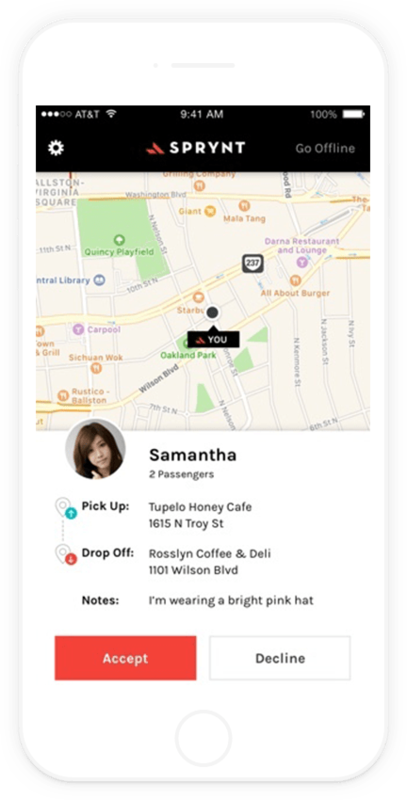 On-demand ridesharing has been popularized through the last five years. 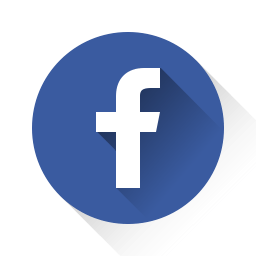 We believe this is a good idea and example. 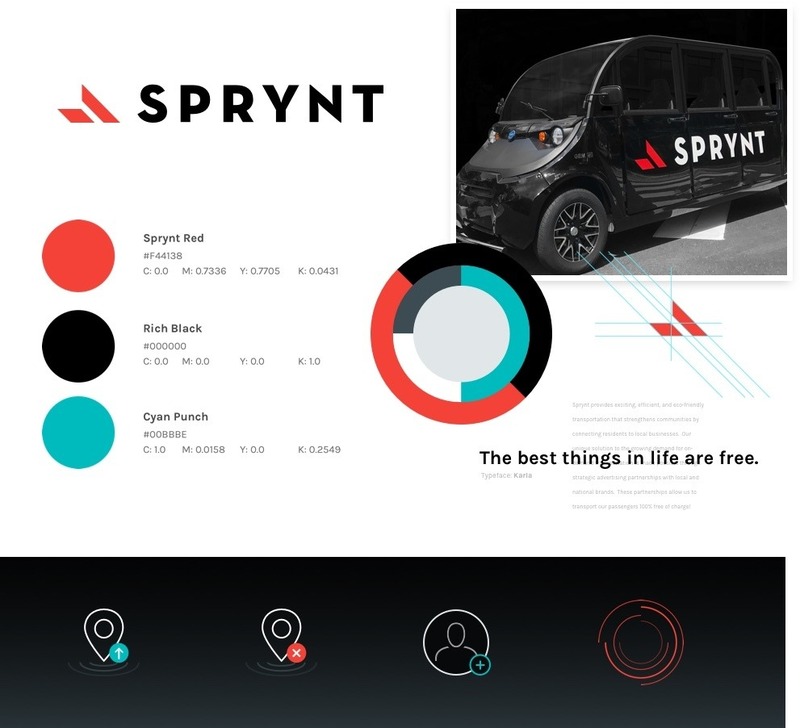 Sprynt had the bold idea to shake up the space with a unique spin. They set out to offer completely free rides to patrons with the support of local businesses. Oh, and they would use their own, unique, eco-friendly electric fleet. 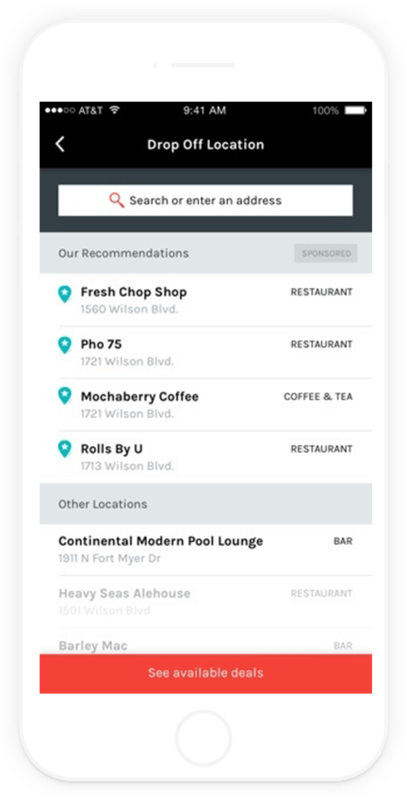 The logo can now be seen driving around D.C., on the Sprynt driver shirts, and obviously within their app and website. 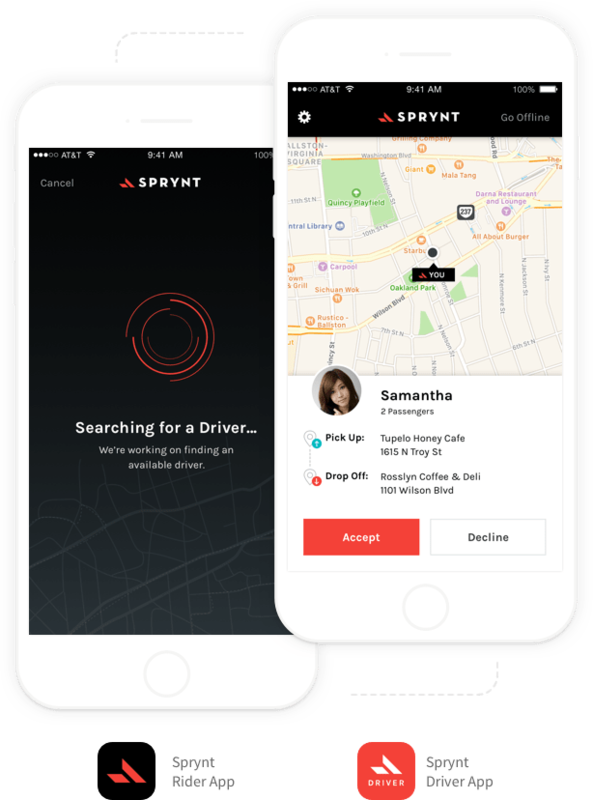 The Sprynt system is on demand, which means they had to create two separate experiences & apps: one for the driver and one for the rider. 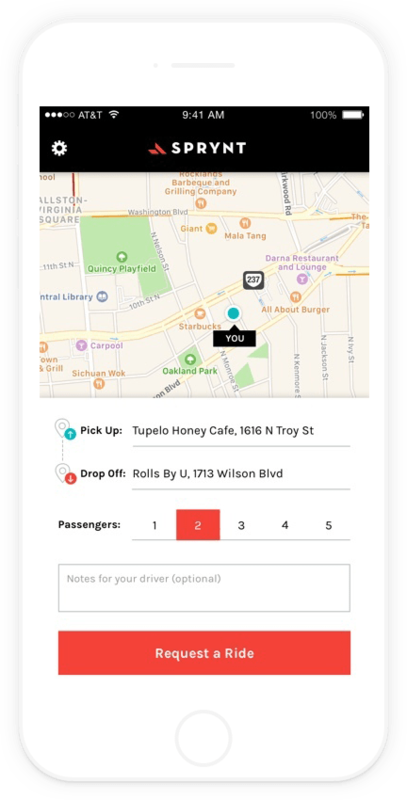 They were very purposeful in designing the driver app to exclusively—and safely—focus on interacting with and facilitating incoming ride requests. 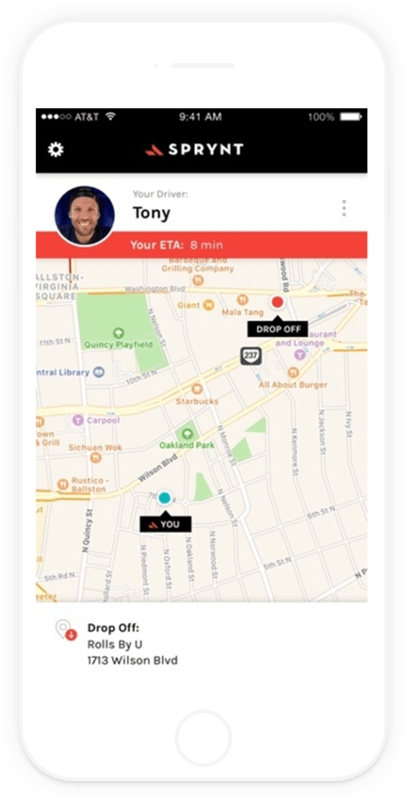 On the rider side, they paid special attention to a fast, simple onboarding experience to request a ride as quickly as possible. 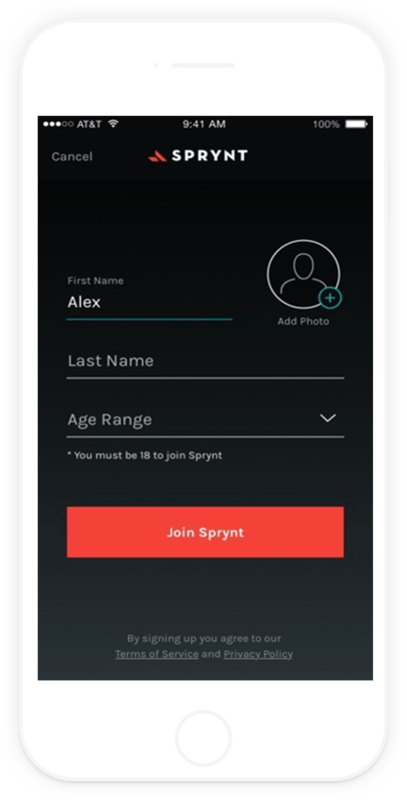 Compared to most other apps, real-time processing is absolutely crucial to Sprynt. 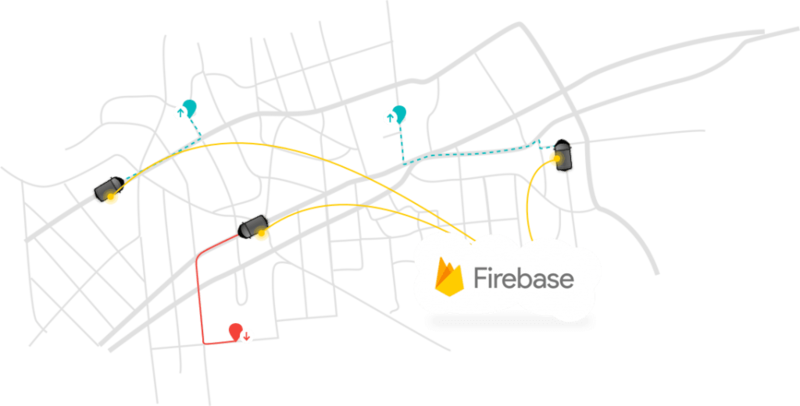 They leveraged several Firebase features —including newly released ones—to ensure riders & drivers communicate seamlessly.